Putting minor scrambles and skirmishes over allotment of party tickets largely behind them, the main political parties in Andhra Pradesh and Telangana hit the ground with election rallies even as the process of filing of nominations in the two states began Monday. 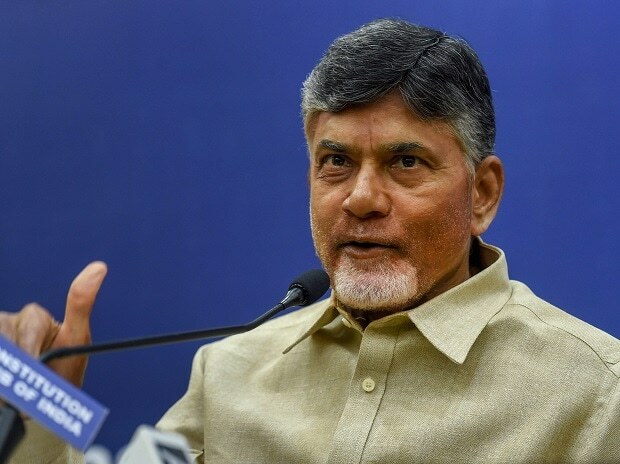 Parties in the two sibling Telugu states have got the shortest possible time of just one month to reach out to the electorate, as polling is scheduled on April 11 in Phase-1. Elections to Andhra Pradesh legislative assembly are being held alongside the Lok Sabha polls on the same day. AP chief minister N Chandrababu Naidu began his campaign from the temple town of Tirupati after offering prayers to Lord Balajji on Saturday, a practice he follows in every election. Opposition YSR Congress president Y S Jagan Mohan Reddy started his bus yatra in Guntur district after announcing the complete list of candidates for both assembly and the Lok Sabha on Saturday. On Sunday, Telangana chief minister K Chandrasekhara Rao kick-started the election campaign for the ruling Telanana Rashtra Samiiti (TRS)'s Lok Sabha candidates with an election rally at Karimnagar, which had sent him to the Parliament in 2004. Congress Party president Rahul Gandhi addressed his first rally in Hyderabad on March 11. The candidates for 30-odd seats out of 175 assembly seats and about five out of 25 Lok Sabha seats are yet to be announced by the ruling Telugu Desam Party(TDP) while the actor-politician Pawan Kalyan's Jana Sena Party has announced candidates to around 60 assembly and half-a-dozen Lok Sabha seats. The former CBI joint director V V Laxminarayana, who had resigned from service last year to enter politics in his home state AP, has finally joined Jana Sena after toying with several options, including starting his own party and joining the ruling TDP. Meanwhile on Sunday Bharatiya Janata Party(BJP) announced candidates to around 125 assembly seats in Andhra. It had just four MLAs in the previous assembly even though it had a pre-poll alliance with Naidu's TDP in 2014 elections. This time TDP is fighting the elections without any alliance partner. In Telangana the ruling Telangana Rashtra Samiti(TRS) has announced candidates to only 8 out of 17 Lok Sabha seats as it wants to avoid the possibility of those who are denied party ticket will get accommodated by the Congress party. Congress party also announced a list of 8 Lok Sabha constituencies so far. Meanwhile, the desertions in Congress party in Telangana once again started just ahead of Lok Sabha elections with eight of the 19 party MLAs already switching sides in favour of TRS in the past few weeks. The situation in AP is some what different even though the end result is the same. More than half a dozen senior Congress leaders, who were MPs and some even worked as ministers in UPA government, joined TDP in recent weeks only to contest on TDP ticket in the ensuing Lok Sabha elections. Interestingly Congress is allowing its leaders to join the TDP as it has no hope of winning a single seat on its own in Andhra. This tacit sharing of leaders has started happening after Congress and TDP decided not to forge an electoral alliance in AP as a similar experiment in Telangana was rejected by the electorate in the assembly elections held in December.